Our son Eric and his mother-to-be-wife Ana came down this weekend from Houston to visit. My wife gave a baby shower on Saturday, and on Sunday, we had a food extravaganza at Black and Rachel’s house. Black showed his boiling expertise by having boiled crabs, shrimp, and crawfish for lunch. Added to the boil were sausage, mushrooms, corn, and potatoes. Everything was delicious. The veggies were very well seasoned, giving the lips a nice pepper buzz. 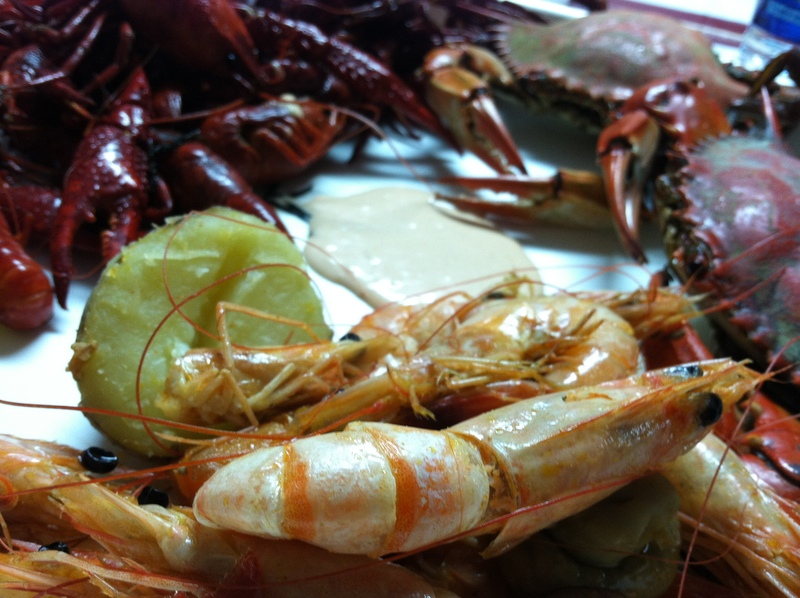 As if that was not enough, a menu of BBQ shrimp, redfish on the half-shell, and charbroiled oysters were set for supper. We used Black’s ceramic Green Egg for all these dishes. Redfish on the half-shell are seasoned filets grilled directly on the pit with the natural, unscaled fish facing the fire on the pit. You do not flip the fish. The part of the fish with the scales and skin gets black while the filet stays moist and succulent. All these dishes were good, but the oysters were the favorite. Melt butter with garlic in a large saute pan on slow fire. Add Tasso and saute for about three to four minutes. Add freshly shucked oysters and parsley. Turn fire off and take off from stove when oysters just begin to curl. Put clean oyster shells on hot grill. Add one oyster from saute pan to each shell. 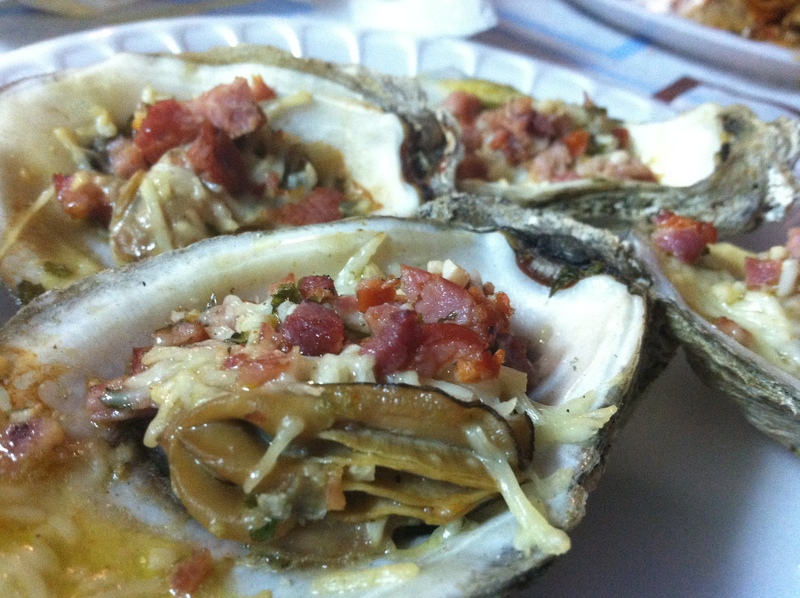 Then add Tasso butter sauce on top of each oyster. Top with grated cheese. Close grill and cook until cheese is melted and sauce is bubbling. You will probably be able to do about a dozen oysters at a time. These puppies are addictive!